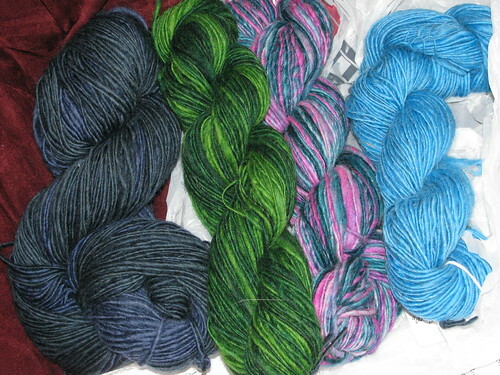 This is my package from the lovely drangondancer (her nom de Ravelry). A shawl pattern, some candies, and of course lovely hand spun yarn. I'm still deciding which is my favorite.